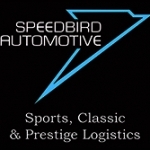 No matter the requirements dealership transfers classic vehicles en route to restoration or a supercar being delivered to a new owner I provide one of the best services available. Operating from my base in Finchampstead Berkshire I am ideally positioned between the M4 M3 & M25 motorways. Whether it be London Edinburgh Stuttgart or Milan I look forward to being of service. Terms: Please include your valid PCGB membership # on all quote applications . Please also have your valid membership card available for viewing upon collection or delivery.